Belgian archaeologists have been working in Greece ever since the beginning of the 20th century, mostly as members of the French School at Athens (for a more extended history of Belgian research in Greece and Greek territories, see). In 1959, Professor Herman Mussche (Ghent University), then a member of the French School, investigated the Thorikos region (SE Attica). A year later, he began excavations on the Haghios Nikolaos peninsula at Thorikos funded by the Belgian “National Fund for Scientific Research” (NFWO-FNRS). At the end of 1961, Dr. Ioannis Papadimitriou, who was at the time director of the Greek Archaeological Service, proposed a joint excavation of Thorikos by Belgian and Greek archaeologists. In 1962, three former Belgian members of the French School at Athens founded the “National centre for excavations abroad” in Belgium which was also going to supervise the Belgian excavations in Greece. The excavations at Thorikos started in the summer of 1963 with the support of the “National Fund for Fundamental Collective Scientific Research”, a ministerial initiative. Later on, they were also funded by the “National Fund for Scientific Research” and the Ministry of Education. The excavations were directed by Professor Mussche until the end of 1997. In 1970, Dr. Paule Spitaels (Ghent University) was appointed assistant director until 1992, the year she died. Mrs. Doris Vanhove (Ghent University) became the new director in 1998 until 2002. In 1965, the “National centre for excavations abroad” was transformed into a non-profit association called “Comité des fouilles belges en Grèce a.s.b.l.” (CFBG). In the early ‘70’s, the excavation house was built at Kephalou Melathron, Thorikos (Lavrio). It became the base of the Belgian Archaeological Mission until 2003 and grew into a research centre with all necessary facilities for scholars. In 1985, however, the Greek Government granted the Belgian Mission the status of a permanent School, with the implication that its seat was to be in Athens. From the end of the 80’s, the BelgianSchool had to confront increasing problems. Finally, in 1999, the Belgian Government made an attempt to save the Belgian archaeological projects in Greece by granting an annual allowance for logistic support of the School. However, the foundation, in Belgium of a new non-profit association called “BelgianvArchaeological School in Greece” could not change the situation. In 2002 a new attempt was more successful with the establishment in Belgium of the “Centre for archaeological research in Greece” (BCAOG-CBRAG). Members of all Belgian universities - several of them former members of the French School at Athens - are represented on the Board as well as a representative of the Belgian government and two delegates of the Royal Museums of Art and History in Brussels. In 2003, conform to Greek law, the “Belgian School at Athens” (BSA-EBA, now EBSA) was founded, a Greek non-profit society which has its seat in Athens. Dr Christiane Tytgat, former Belgian member of the French School and curator at the Royal Museums of Art and History, became the new director of the School until 2007. In April 2007, Dr Steven Soetens, former collaborator of the Institute of Meditteranean Studies, collaborator of the Topography of Power group at the UCL at Louvain-la-Neuve and assistant professor at the Institute for Geo- and Bioarchaeology, VU Amsterdam , was appointed director, which he stayed till April 2007. In April 2012, professor Jan Driessen of the Université Catholique de Louvain iwas elected director. Professor Driessen is appointed for a five-year term (renewed for a second five-year term in April 2017). 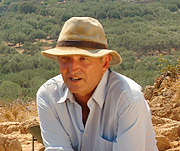 Former Belgian member of the French School at Athens (1989-1993) and of the British School at Athens (1981-1983), professor Driessen is one of the leading authorities in Minoan archaeology. He was co-director of the excavations at Malia and Palaikastro and is the director of the Sissi excavation project as well as the co-director of the Pyla Kokkinokremos excavations on Cyprus. The Belgian School at Athens is run by a small, but dedicated and knowledgeable staff. The Director and the Deputy Director are the main academic and administrative staff and they organize and run all of EBSA activities and events. Deputy Director and permanent in Athens: Prof. Dr Panagiotis P. Iossif, numismatist, archaeologist, specialist of Hellenistic numismatics and religion, professor of Ancient and Medieval Numismatics at the Radboud University, Nijmegen and scientific collaborator of the Université de Liège – 2013 Kraay visiting scholar, University of Oxford. https://ebsa.academia.edu/PanagiotisIossif, Radboud University Nijmegen. 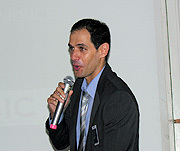 Iossif was first appointed secretary of the EBSA in 2005, before being promoted to the rang of Deputy Director in 2016, and appointed as professor at the Radboud University, Nijmegen in 2017. Members are representatives of Belgian universities, of the Royal Musea of Art and History in Brussels and of the Royal Library of Belgium.